Credits are currently not available. The State of Indiana regularly grants tax credits to LIFEDesigns, and we are able to extend this opportunity for tax savings to our donors. Through the Neighborhood Assistance Program (NAP), a contribution to LIFEDesigns of a minimum of $100 makes a donor (business or individual) eligible to receive 50% of the total contribution back (i.e., $50 of a $100 donation) as a tax credit when filing an end-of-year Indiana tax return. In addition, donors are also eligible to claim the total amount of the gift as a tax deduction on an itemized federal income tax return. 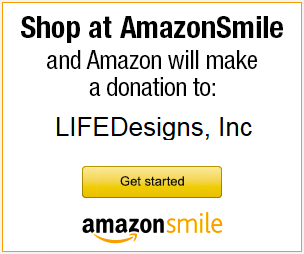 This is a great way to support LIFEDesigns and also receive a benefit for yourself! Learn more about the IACED and the NAP program. Credits are awarded annually in June, and sold on a first come first served basis. Contact Stephanie Shelton, Chief Development Officer, at 812-332-9615 Ext: 218 or support@lifedesignsinc.org to determine the amount available for you to purchase. Once your NAP contribution amount is determined complete the NC-10 Form and Donor Acknowledgement form. NAP donations can also be dropped off at our Bloomington office Monday – Friday from 8:30am – 5pm. For questions or more information on the NAP tax credit program, please contact LIFEDesigns’ Chief Development Officer at 812-332-9615 Ext: 218 or support@lifedesignsinc.org.